Sue and I just got back from a whirlwind tour of the California Central Coast. We went out for the occasion of the memorial service for a dear brother in Christ. We mourn with his family, and we’re sad that we are temporarily separated from him, but we rest assured that our dear brother is now healed, and basking in the glorious presence of our LORD and Savior Jesus. While we were there, we had the chance to reconnect with our church family and many of our other dear brothers and sisters in Christ who live in the area. We were also able to spend some time with our beloved son, Christian. 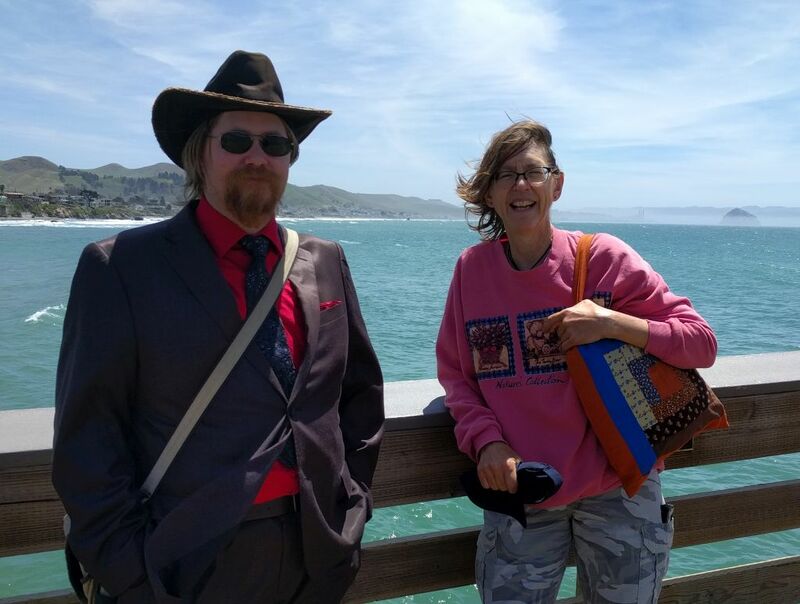 This picture was taken at the Cayucos pier right after a sumptuous lunch of smoked fish tacos.